Shasta County was a leading producer of copper in the United States between 1900 and 1920. Following the closure of the local copper mines in the early 1920s, acid rock drainage (ARD) from the closed mines was identified as a major source of metals contamination in the Sacramento River. ARD is generated when air and water interact with the metal sulfide deposits to produce sulfuric acid. The acid dissolves the metals and the contaminated water discharges to the surface through the mine workings. VESTRA staff have been involved in ARD remediation for over 20 years, including several projects in Northern California. One of these projects, the Bully Hill and Rising Star mines, included many of the remedial activities implemented to address ARD contamination. The Bully Hill Mine consists of two main portals and a large waste rock pile, and the Rising Star Mine consists of eight portals and one large and numerous small waste rock piles. Both mines are located on Shasta Lake in an area with no power, water, or phone service. Site access is by boat or 4-wheel drive vehicle via logging roads. Activities completed at the Bully Hill and Rising Star mines included source identification, source control and reduction, and treatment of residual ARD. Site Characterization. Representative water samples and continuous recorder data were collected to characterize metal concentrations and flow rates for approximately 5 years. These data were used to prioritize the ARD sources for remediation. Portal and Tunnel Rehabilitation. Once the sources were prioritized, it was necessary to access the source areas. In most cases, access involved rehabilitating the mine tunnels and installing several bulkhead seals to control the ARD. Overall, approximately 350 feet of mine tunnel was rehabilitated, five bulkhead seals were installed to capture the ARD, and high-pressure piping and values were installed through the bulkheads to control the ARD. Waste Rock Consolidation and Capping. In addition to discharge from the collapsed portals, it was determined that exposed waste rock was also a source of ARD. Waste rock in the vicinity of the Rising Star Mine was consolidated and capped with a synthetic liner and vegetative cover. Passive Treatment Systems. Although ARD may cease following the installation of a bulkhead seal, the more likely outcome is a significant reduction in flow. When this occurs, it is necessary to design and construct a treatment system to remove the metals contamination from the residual seepage prior to discharge. Pilot and full-scale sulfate reducing bacteria (SRB) anaerobic treatment systems were constructed at the Bully Hill and Rising Star mines. Each system is gravity-based and was designed to treat up to 25 gallons per minute. Based on the pilot systems, the final substrate mixture includes wood chips, hay, limestone, agricultural limestone, manure, and rice hulls. The Bully Hill system has been operating for 4 years and reduction in concentrations exceeds 99 percent for copper, zinc, and iron and 80 percent for aluminum. The average effluent pH is 7.00 units. The treatment system at the Rising Star Mine has been operating for 2 years with similar success rates. 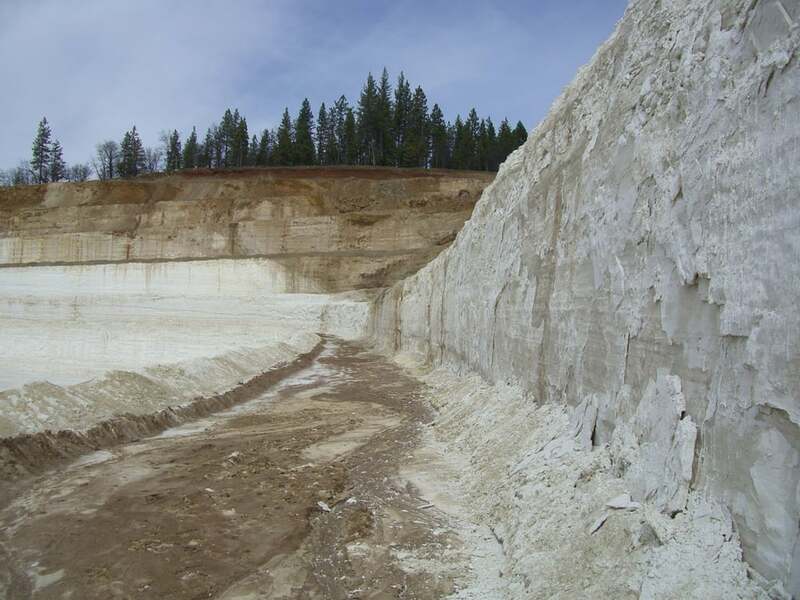 Dicalite Minerals Corporation operates a large, open-pit diatomite mine near Burney in Shasta County, California. Treated storm water is discharged from the facility to an intermittent tributary to Lake Britton. The RWQCB had issued orders to address elevated zinc concentrations as well as settle-able solids, suspended solids, pH, and acute toxicity detected in effluent samples above the limits set in the site-specific Waste Discharge Requirements (WDRs). VESTRA assisted in identifying sources of elevated zinc associated with plant and quarry operations. Because discharge and background receiving water concentrations are periodically detected above California Toxics Rule (CTR) levels, a site-specific translator was developed to set new dissolved metals criteria. Through recent negotiations with the RWQCB, VESTRA assisted Dicalite in obtaining coverage under the General Industrial Storm Water Permit for storm water discharges and rescinding the existing WDRs, greatly reducing sampling and monitoring requirements and associated costs. 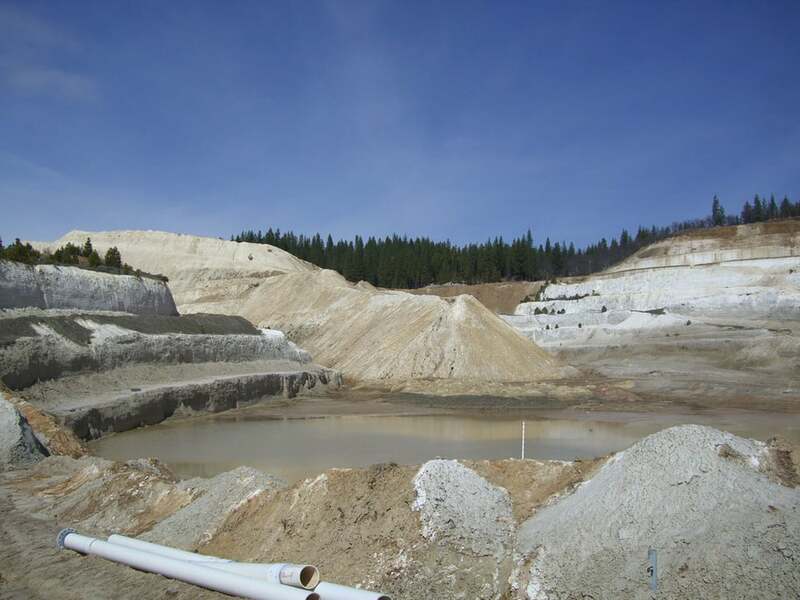 Additionally, VESTRA completed permitting of an 80-acre expansion of the Dicalite mine. The company purchased 160 acres of adjoining land which they planned to use for overburden disposal and stockpiling in addition to mineral development. Shasta County requested that Dicalite submit an updated Reclamation Plan, Use Permit application, and Initial Study. The project also required preparation of a Mitigated Negative Declaration under CEQA. VESTRA prepared the updated Reclamation Plan and Initial Study. In addition, a Use Permit application was completed. VESTRA biologists performed vegetation mapping and botanical reconnaissance-level surveys, as well as focused surveys for special-status species. A Biological Characterization Report, including detailed mitigation measures to ensure sensitive species were not affected by the mine expansion activities, was submitted as part of the Initial Study.